I’m a little late in the day with my remembrances, but they are nonetheless heartfelt. Mrs. Croft left them, and Captain Wentworth, having sealed his letter with great rapidity, was indeed ready, and had even a hurried, agitated air, which shewed impatience to be gone. Anne know not how to understand it. She had the kindest “Good morning, God bless you!” from Captain Harville, but from him not a word, nor a look! He had passed out of the room without a look! It’s been some twenty years since I read it, and I haven’t recovered from it yet. Thanks, Jane. 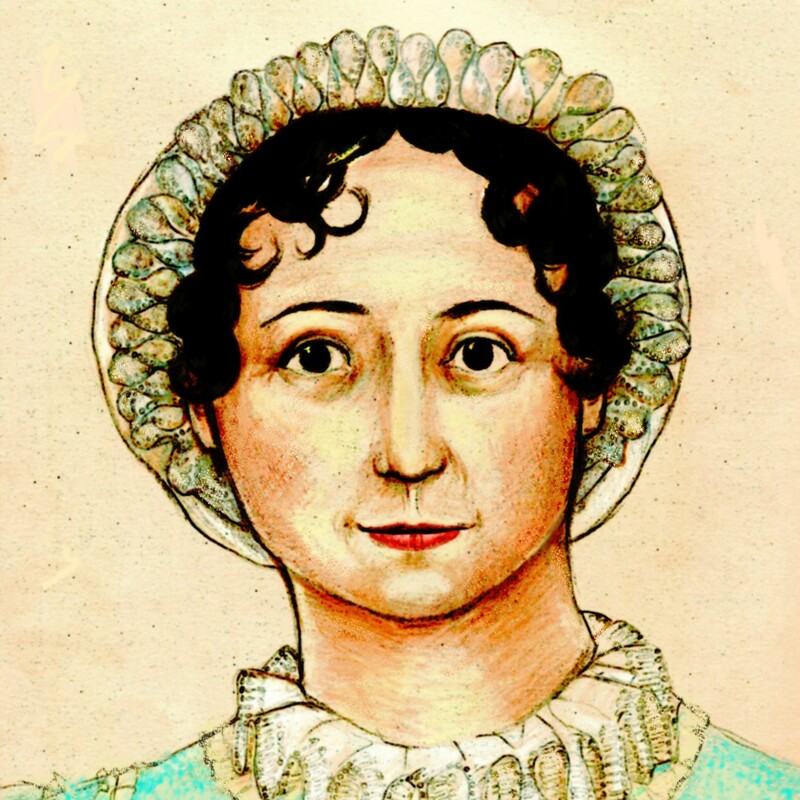 I hope all the love from Janeites all over the world today reached you beyond the ether. Only one of THE best love letters in the history of letter writing. Gives me goosebumps every time…..
Another thing this passage proves is what a brilliant editor/reviser of her own work JA was. Is there anyone out there in her right mind who’d take the “cancelled chapter” over this one? I think not. I love this letter so much that I typed it up on the computer in a beautiful font, printed it out on parchment paper, framed it in a beautiful little frame and have it sitting in my Regency decorated private bathroom for me to see everyday and enjoy. Letters like this don’t happen but once in a couple hundred years. For a lady whose love life is pretty much unknown, she knew what it felt like to love deeply or she could never have found the words to touch our hearts the way she has.